Would you use a toothbrush that came with sound? Read more below and thank you visiting us at Shoreline Endodontics, Groton, CT! 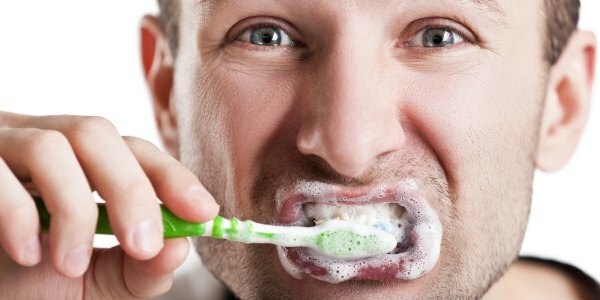 Researchers in Japan have discovered that how effectively we clean our teeth and how satisfied we are with the brushing job we do depends a lot on the sound of the bristles scrubbing against the enamel. In trials with volunteer teeth cleaners, the team has used a tiny microphone in a modified toothbrush to ‘sample’ the sound being made in the mouth during brushing and to modulate it and then feed that sound back to the volunteer via headphones to see what effect it would have on cleaning efficacy and satisfaction. They describe details in the International Journal of Arts and Technology. Taku Hachisu and Hiroyuki Kajimoto of The University of Electro-Communications, in Chofu, Japan explain how modulating the brush sound affects brushing efficacy and satisfaction. The team found that if they manipulated the pitch, or frequency and loudness, of the brushing sound they could alter the volunteers’ perception of comfort and accomplishment. They also showed that if they gradually increased the frequency as teeth cleaning progressed, the volunteers felt like the process was more comfortable and that their teeth were cleaner at the end of the process.